Much is said about the democratization of planning and urban design as a process of creating “cities for citizens.” The project Cities X Citizens explores the question of how to render, not only urban spaces, but also city-making processes truly accessible to citizens. Building on the experience of public space occupations, open-source planning and critical urban design methodologies, such as pattern languages, placemaking and community charrettes, Cities X Citizens developed and uses the methods planning-in-situ (i.e. planning the space from the space and in real time) and open planning (i.e. the planning process is potentially open to anyone who wants to participate). Bridging research, pedagogy and design practice, this project focuses on facilitating community engagement as an urban design/planning strategy to revitalize and reappropriate interstitial spaces (i.e. space underneath elevated highways, service alleyways, railyards, etc.). The objective is to revert urban fragmentation and re-stitch these spaces back to the sociourban fabric. Cities X Citizens is a platform to collaborate, brainstorm and think out loud about the the democratization of citymaking and the (applied) right to the city. Silvano is an architect, urbanist and educator. He teaches at Concordia University, after having taught at Cornell University, and universities of Tamaulipas and Anahuac in Mexico. For 15 years, his research has focused on public space and the study of alternative uses, such as street vending, graffiti, public assembly and protest, as design/planning agents. As a result of this research, he went on to study a PhD at Cornell University, and wrote his dissertation on alternative planning processes in the context of protest encampments in horizontal social movements. He did research and participated in the Indignados mobilizations in Barcelona, Occupy Wall Street and other social movements in 2011 and 2012. Building on this experience he founded CitiesXCitizens. Additionally, he coordinates brainstorming/reading circles on critical theory, philosophy and cinema to develop strategies to democratize everyday life in the city. Sahar is a PhD student in Geography, Urban and Environmental Studies at Concordia University. She received her Bachelor degree in Urbanism from Sheikh Bahaee University in 2013, and her Master of Urban Design from the Art University of Isfahan in 2016. After working on a few urban design and planning projects in Iran, her interest in the livability and conviviality of urban spaces and public places led her to focus on the impacts of urban built or designed environment on people's quality of life and wellbeing. Sahar pays particular attention to the physical, cultural, and social identities of a place. Presently, her work deals with lively, interactive, and welcoming public spaces. 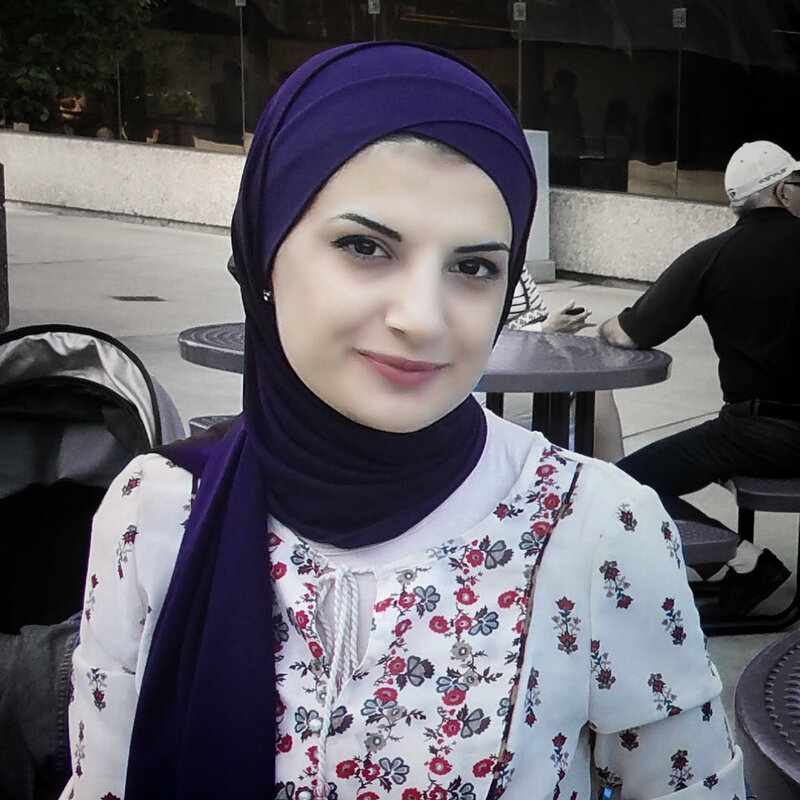 Heba is a Ph.D. student in Geography, Urban, and Environmental studies at Concordia University. She got her Bachelor degree in Architecture from the University of Jordan in July 2011. After three years of practicing the profession in an Architectural consulting firm in Amman-Jordan, she got her master degree of Architecture- Post professional (UDH) Program: Urban Design and Housing at McGill university. Her master research revolves around reviving traditions and cultural values in contemporary Arab-Islamic Architecture, which allows for a deeper understanding of design as both method and production. At the present time, Heba’s passion in the public realm of open spaces and the ways users tend to use the space differently from what it was initially intended to provide, has shaped her current interest and research area. Mira is a M.Sc. student in Geography, Urban and Environmental studies at Concordia University. She received her Bachelor degree in Landscape Architecture from the American University of Beirut in 2015. After working on few projects in Lebanon and Ghana, her interest in the urban aspect of the field pushed her to explore and focus on urban studies. Driven by people centered approaches and respecting/ reflecting the locale in her designs, she became interested in studying cultural landscapes, sense of place and community-based design. Her masters research ties between these interests, by exploring the community’s perceptions as a tool in re-imagining and reviving indeterminate spaces of a gentrified post-industrial neighborhood. Mohammad is a M.Sc. student in Geography, Urban and Environmental studies at Concordia University. With a background in architecture, and after some years of professional practice as a designer, now he is interested in investigating more about the role of architecture and design in shaping contemporary societies. His area of studies are architecture history, modernism, consumerism culture and design activism.